Gaijin Entertainment (they are behind the massively-successful War Thunder and Star Conflict) is gearing up for a new title (timed) exclusively on PSN called Skydive: Proximity Flight. The game will focus on what it’s like to fly in a wingsuit (without all the crashing into mountains and scraping off your face experience) courtesy of the motion controls on the PlayStation 3. Here’s what we know about the game so far. Gaijin Entertainment announced that Skydive: Proximity Flight will soar onto the PlayStation®Network on October 1, 2013 in US for $19.99 and on October 2, 2013 in Europe for 19.99€. 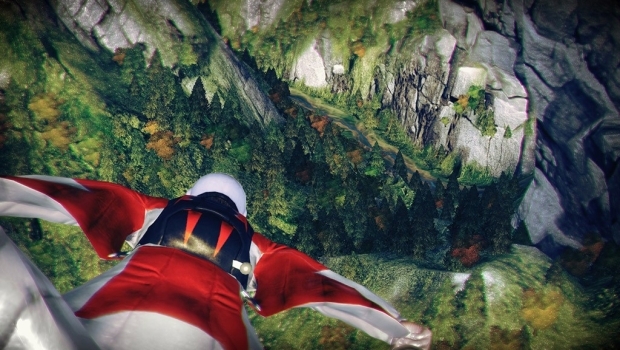 Inspired by the extreme sport of base jumping, Skydive: Proximity Flight is a downloadable game that uses gamepad or motion controller technology to put the players inside the wingsuit for exhilarating skydiving experiences.